Critics of Apple have suggested that the iPhone range has only seen incremental upgrades over the past few years, and given the lack of NFC, the late showing of LTE and the 4-inch display of the current flagship, they do have a point. But while the continued processor / graphics bumps and camera upgrades don’t seem a world apart from release to release, the leap in overall performance is quite noticeable when you skip a generation or two. Case in point, the new release of the graphically-intensive Modern Combat 5, which, as you’ll see below, is quite a different animal on an iPhone 4S versus the current but not high-end iPhone 5c. Let’s be straight here, the iPhone 5c is merely a dressed up iPhone 5, and so with this in mind, it’s actually only one upgrade on the iPhone 4S. 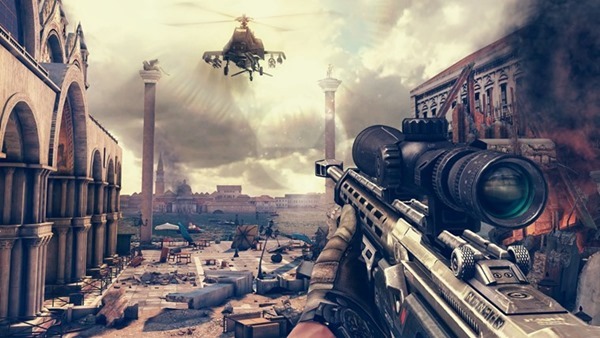 With that said, the difference in gaming performance is significant, and with Modern Combat 5 having already cemented its place as one of the best mobile titles to have released so far this year, the guys over at AppSpy YouTube channel decided to run a head-to-head of the in-game footage on the iPhone 4S and iPhone 5c. The improvement is stark, and even though, as fans of mobile devices, we’re often only impressed by fanciful new features like Touch ID and Siri, this clip demonstrates just how much work goes on under the hood to boost the credentials of each new iPhone release. The iPhone 4S, for those that remember, was the first device to roll Siri out, and although it looked identical to the preceding iPhone 4, the A5 processor and enhanced graphics ensured that games felt smoother and more realistic. Although, in this instance, the device shows its age up against the iPhone 5c, it still makes a decent account of itself for a near three-year-old smartphone, and as such, 4S owners intrigued by the hype surrounding Modern Combat 5 should not hesitate in picking it up from the App Store. Anyway, have a little looks at the video below, which offers an extended look at the mobile gaming world’s hottest title in action on old and new, and as ever, do share your comments via the usual channels. any one experiencing minute pixelated gameplay on nexus 5 or on any phone? please tell me im not alone..